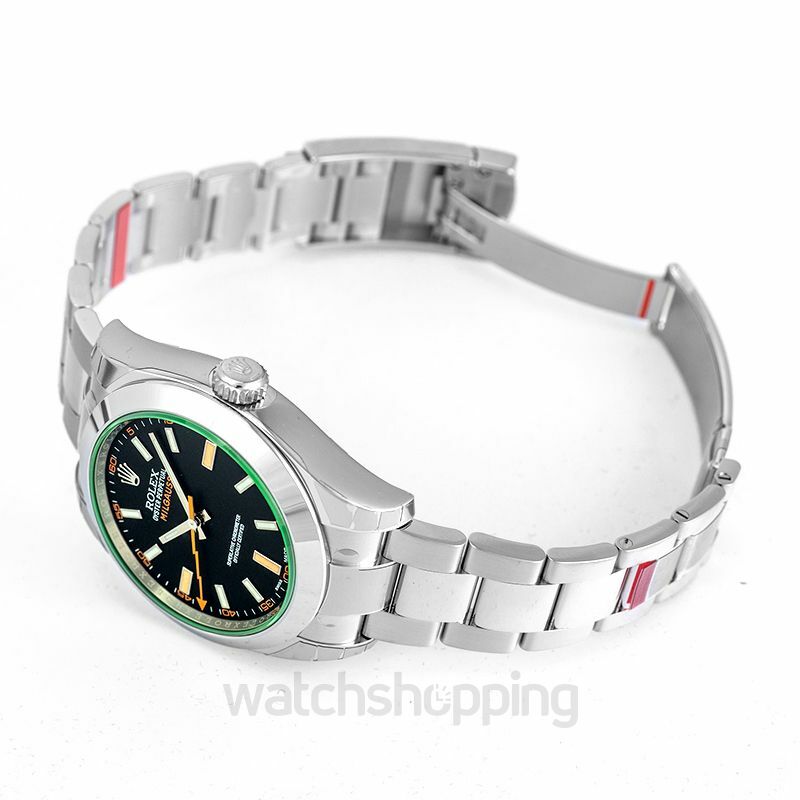 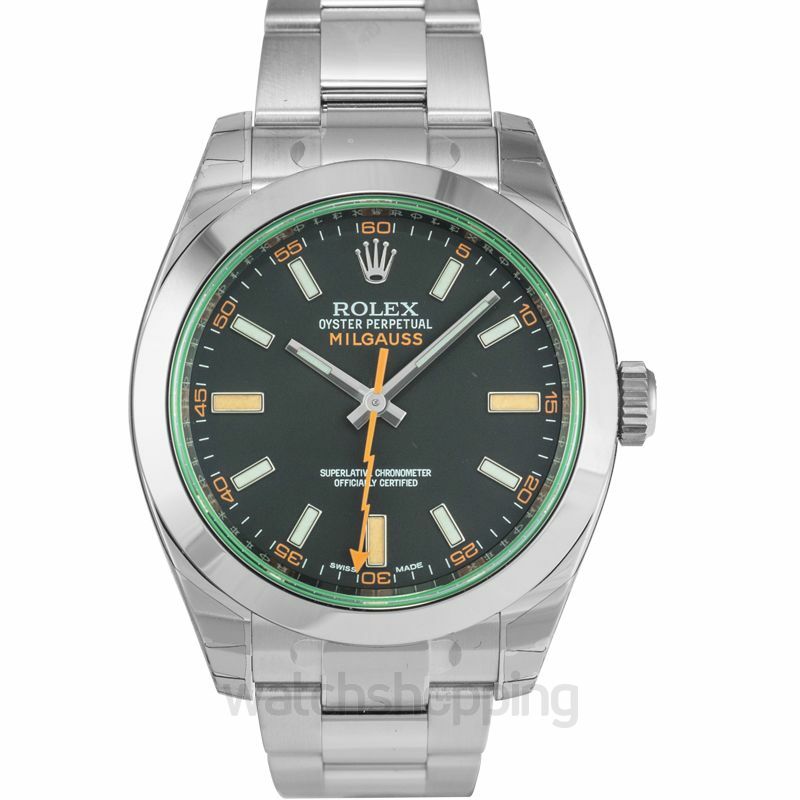 The Rolex Milgauss black dial domed bezel green crystal oyster bracelet unisex watch utilizes state-of-the-art technologies that ensure that it is resistant to magnetic fields of up to 1,000 gausses. 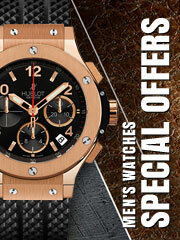 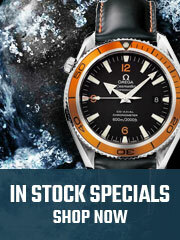 These watches were first introduced to fulfill the demands of the scientific community. 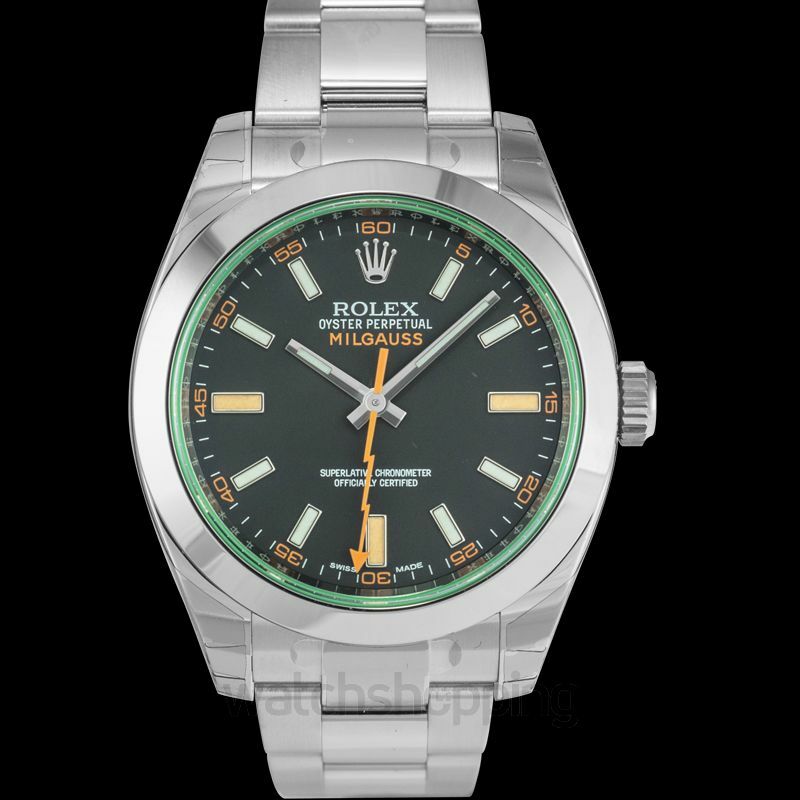 They feature a black dial with luminescent orange markers at 3 o'clock, 6 o'clock, and 9 o'clock with white hour markers interspersed in between. 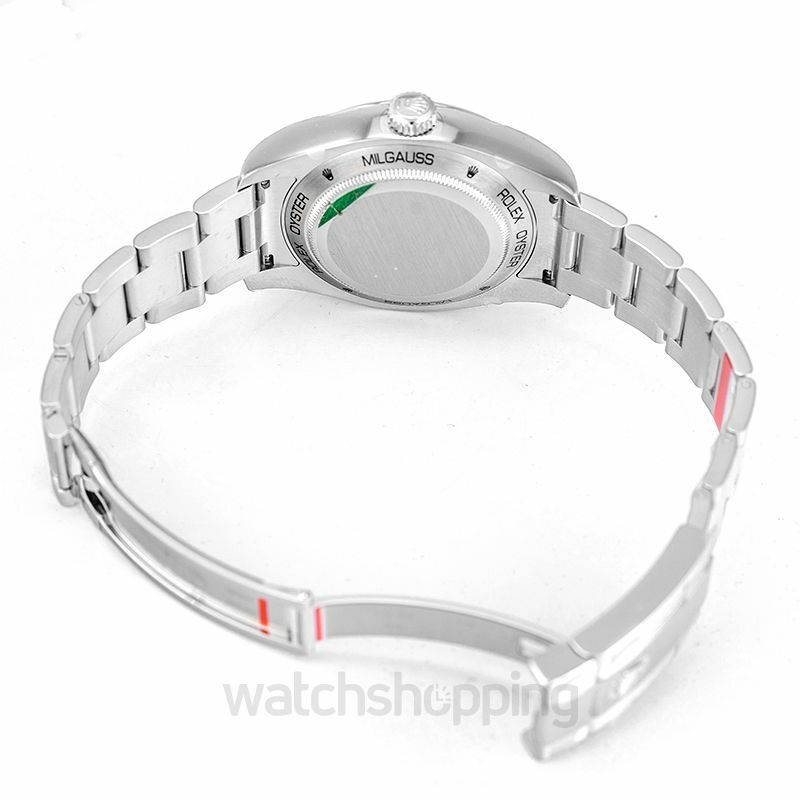 The scratch-resistant green sapphire crystal preserves optimal legibility while producing light reflections.